I feel like I should be on vacation someplace tropical in this dress, and I suppose I am: Southern California! With temperatures creeping up into the 90s it's still a little hard to believe that we are into November and the impending holiday season. 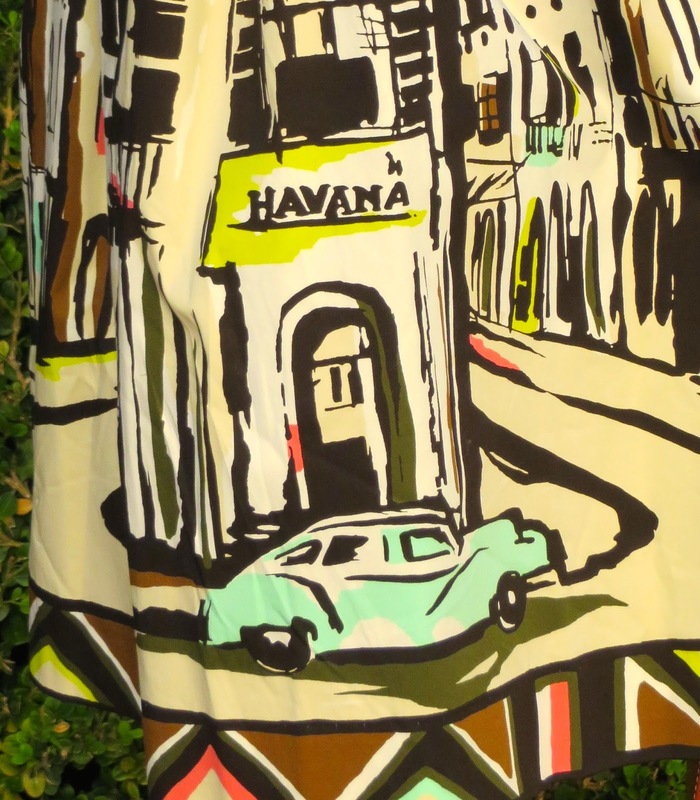 My dress today from kate spade depicts the city of Havana, and in some of the details below you can see that inspiration. 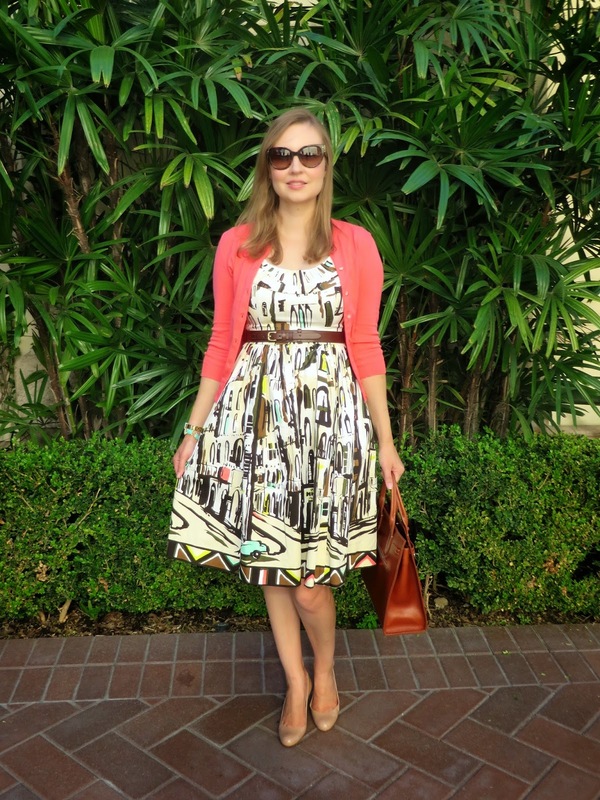 I fell in love with the print when I first spied it at Nordstrom, but didn't think it would fit since it was a size 2. It probably would have been best to just not have tried it on, but where there is a will there is a way. I went into the dressing and after doing some weird contortional things to get the zipper zipped up, I emerged triumphantly asking my husband to just finish zipping it a couple extra inches. It actually fit quite well due to the slight stretch of the fabric. I guess it just shows that anything is possible with a little willpower. If only I could cool the weather down by willing it! Fabulous dress Katie. Your prints are always fun, happy and unique! Thanks Ada! I always love a good print! I wish our temps were in the 90s! So jealous! 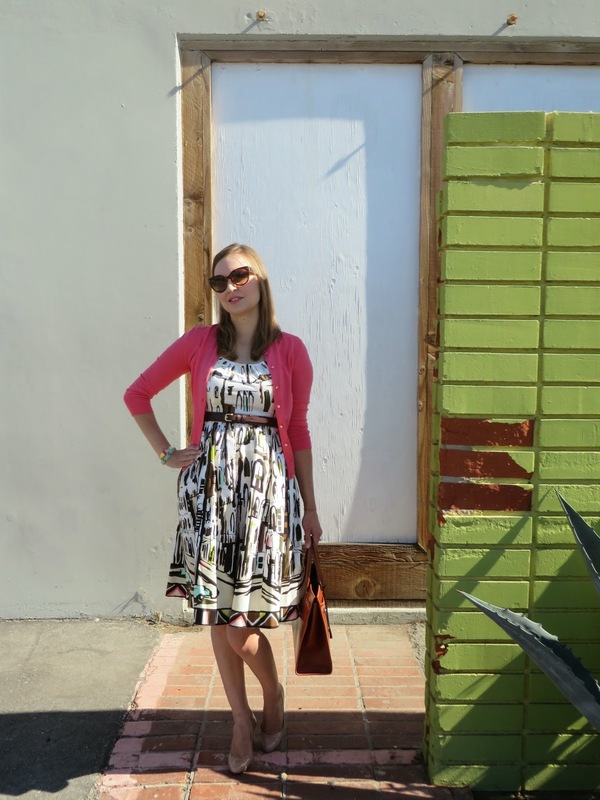 And I LOVE that dress with that fun print!! Thanks for joining the Celebrate Southern Linkup this week! I am pinning this great post to our official board now! Cheers! Thanks for stopping by Susan! I would gladly trade weather with you, although now it is a lot cooler. 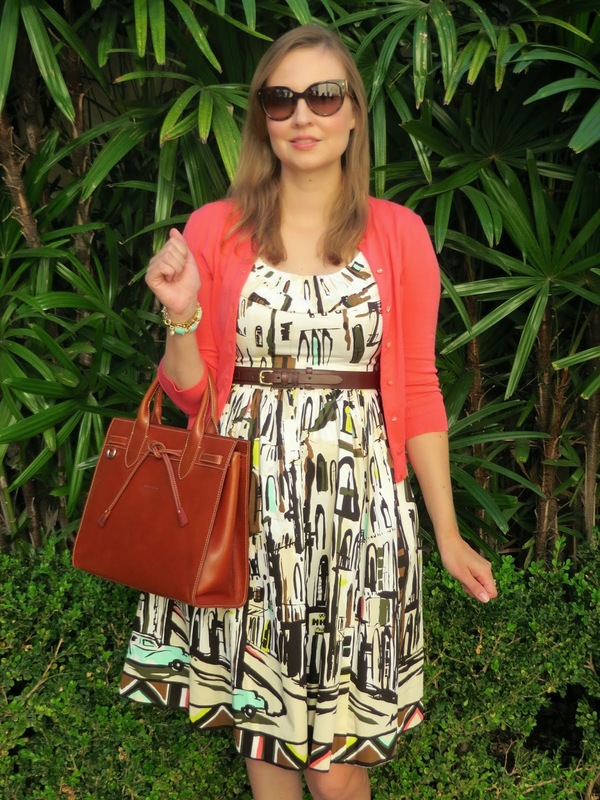 Thanks for hosting the linkup and pinning my look! What a cute dress! That print is so awesome! 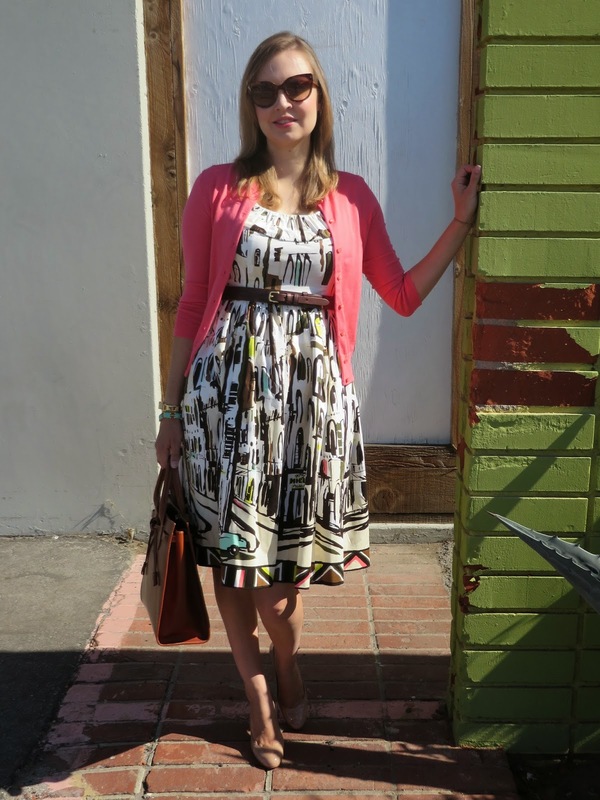 I love these fit and flare type of dresses with fun cityscapes prints or other elaborate prints, but have yet to find one for myself. This one looks so good on you, it makes me want to start shopping for one again for myself. Thanks for joining Celebrate Southern link up this week!